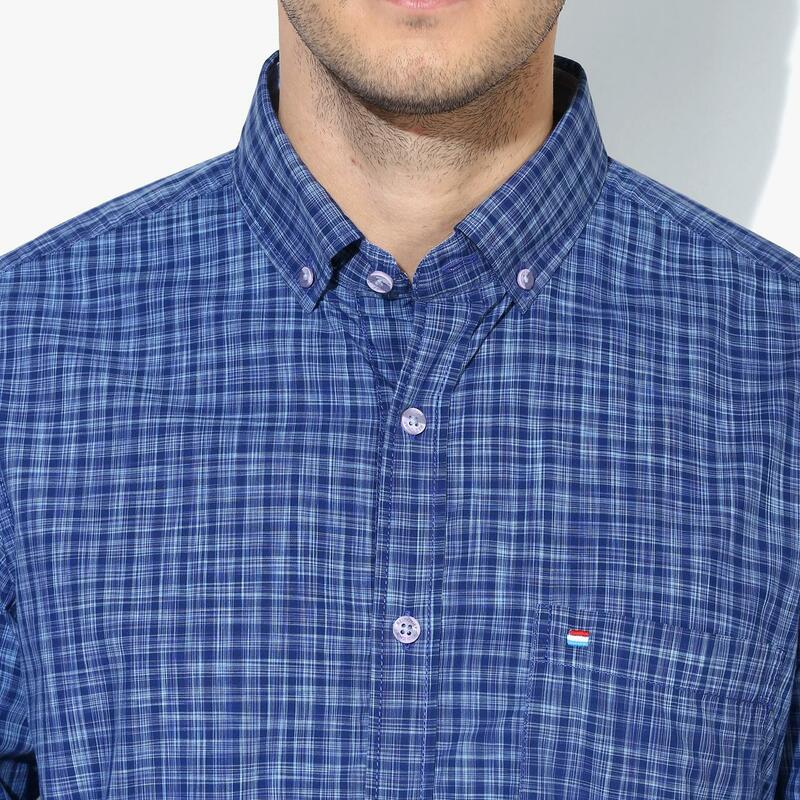 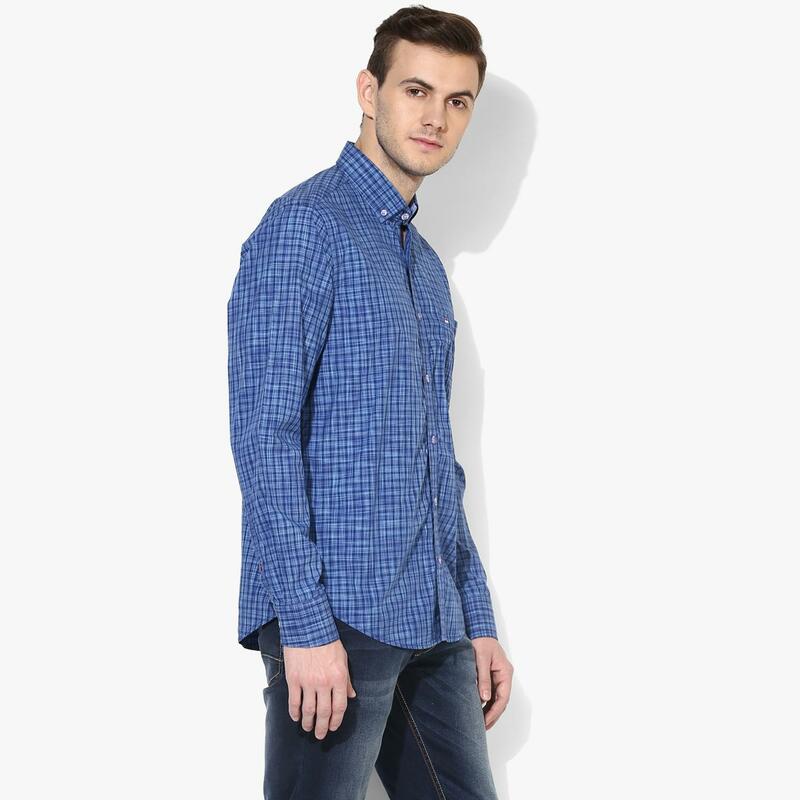 Strut your style among friends adorning this blue and white checks men's casual shirt from the house of Red Chief. 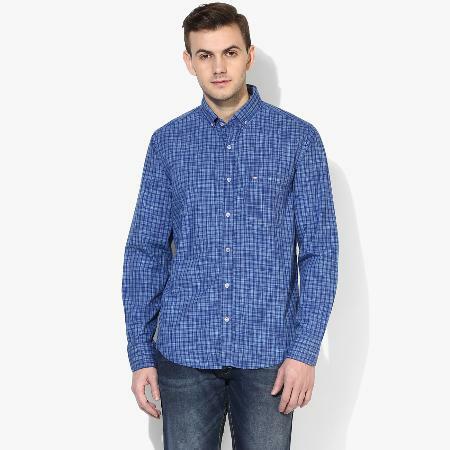 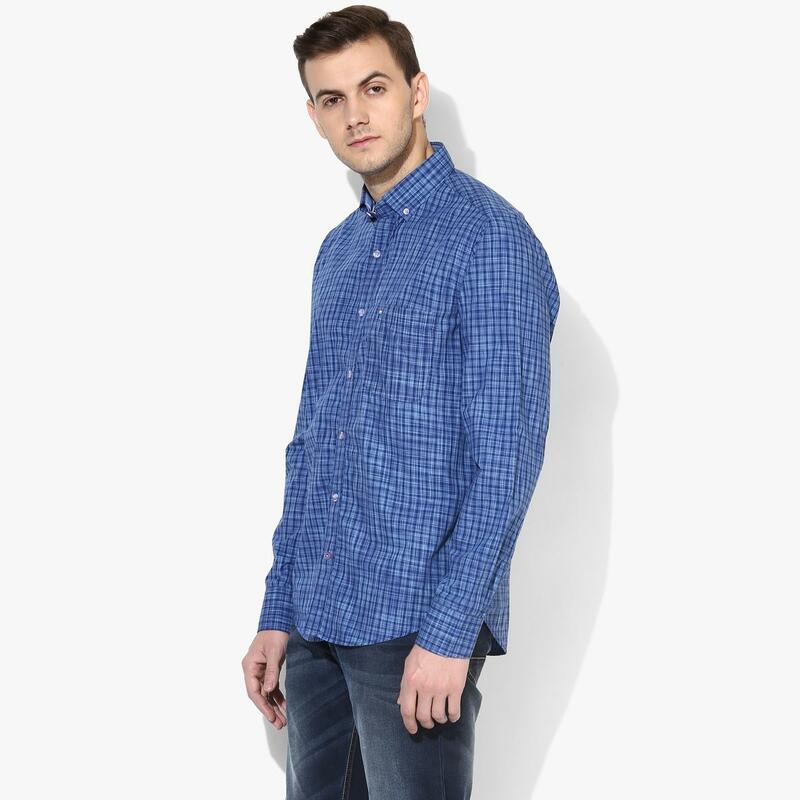 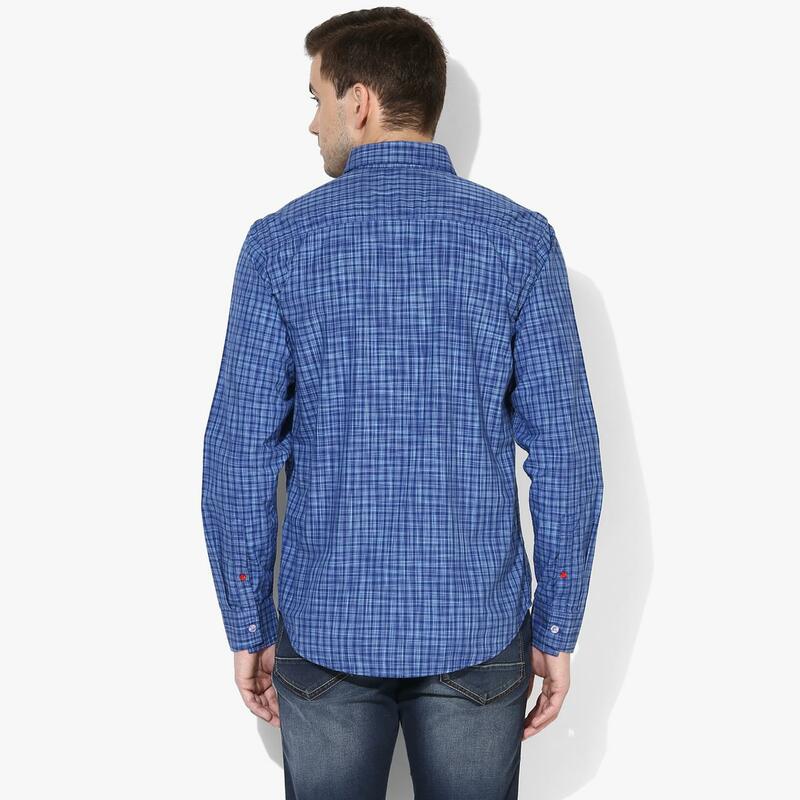 This checks casual shirt will elevate your style quotient and make you stand out from the crowd. 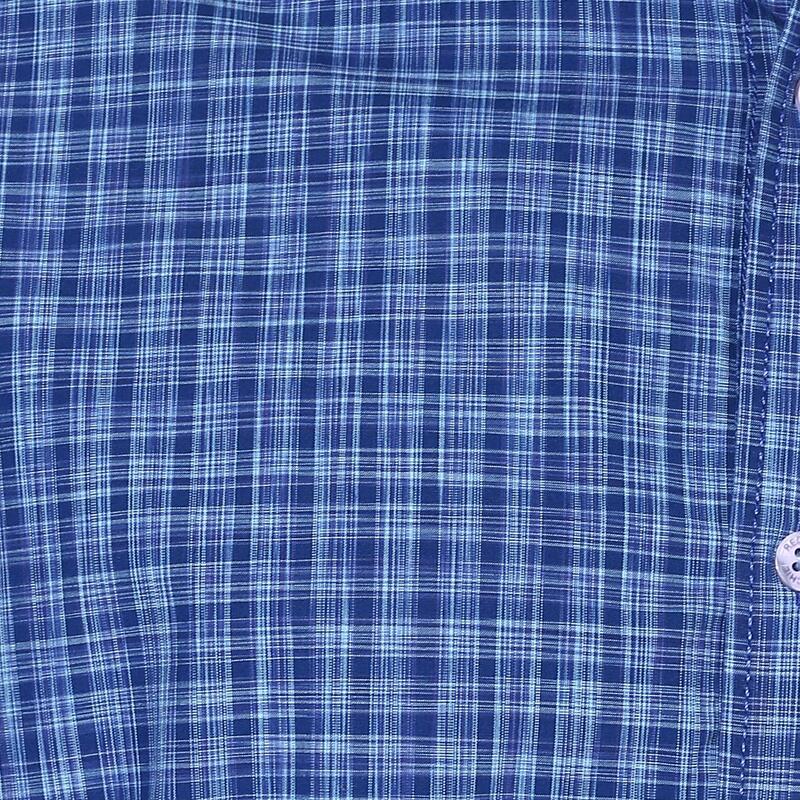 The 100% cotton fabric will keep you comfortable through the day. 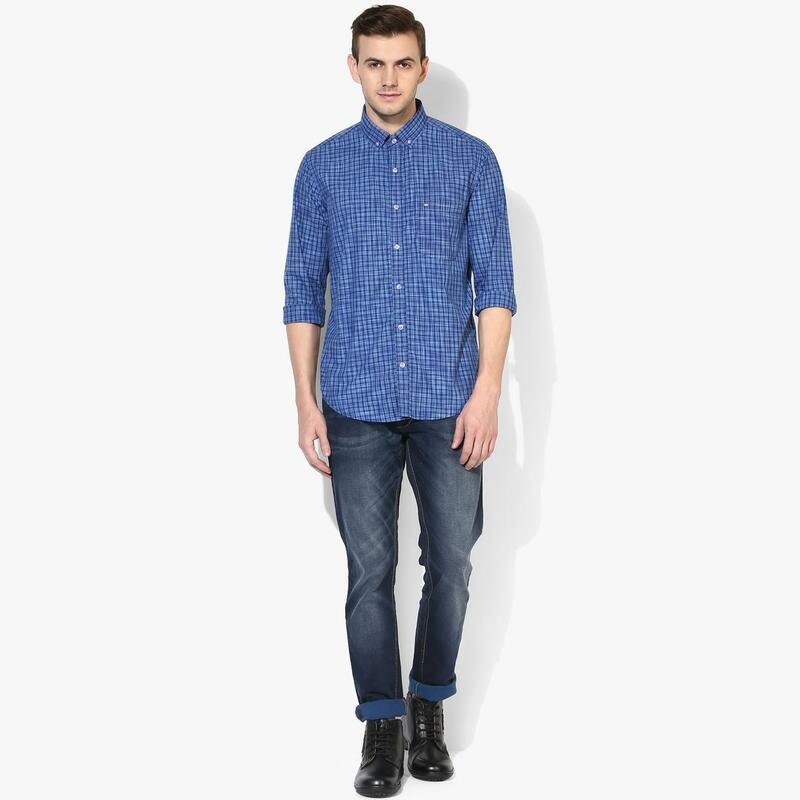 Pair it with trousers and low neck sneakers to attain the perfect men's casual look.